Really happy with the growth of my kid. It is definitely the best platform for kids.safe environment and caring teacher are most appreciable. Excellent school, Excellent food, Well mannered and educated staff. Security and hygiene standards are very high ..
Footprints Noida secto-70 is really a nice school for kids.The environment of school is very good,all teachers and staffs are helpful and caring. 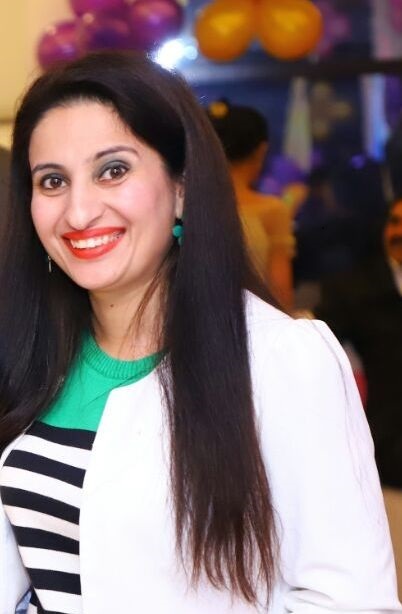 This is Rupinder Kaur Sharma, carrying 13 years of experience in Service Industry and Education Sector. I have done my graduation in Bachelor of Arts along with a 3 year diploma in Software Engineering. Being a mother of 2 kids :Eldest Daughter(10) and Son (5) years, I understand the needs of children and ensures to provide an environment that helps children in their Learning, Development and most importantly their Happiness and JOY !! Out of 13 years, most of the time, I was associated with Education Industry. Being in such a critical role always inspired me to develop an understanding of Parent and Kids need. Now it has become my Passion and to continue my passion as my aspiration, I have joined Footprints Preschool and Day Care.